Isn’t it funny how every armchair supporter becomes an expert when it comes to the awards season in football? 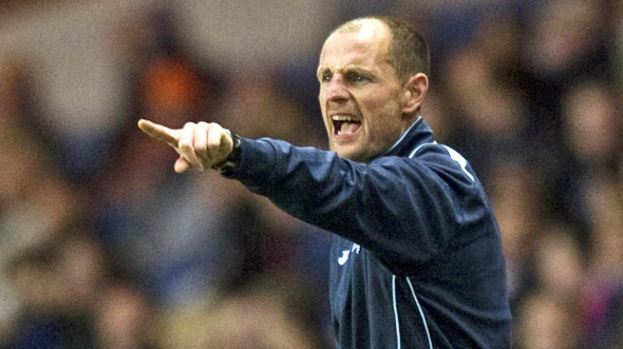 No sooner had Allan Johnston picked up his PFA Manager of the Year award, before a legion of disgruntled fans of SPL clubs registered their disgust at the outcome, some even branding it a farce. In what must have been a close run vote, Johnston trumped Neil Lennon, Stuart McCall, and Terry Butcher to claim the first managerial prize of his career. All nominees made it to the shortlist purely on merit. Lennon guided Celtic to a fairly straightforward SPL title win, as well as some wonderful European nights, most notably against Barcelona. McCall continued to defy the odds with a miniscule budget and squad size to secure 2nd place in the SPL, while adhering to an attractive style of play along the way. Butcher similarly galvanized an under-resourced club to punch above their weight, and should be commended for pushing Motherwell all the way in the battle for 2nd spot. Each nominee’s achievements should be commended, but none overwhelmingly eclipse those of Allan Johnston this season, on a pound for pound basis at least. Johnston’s Queen of the South team romped their way to the 2nd Division this season, scoring goals for fun, and insisting upon an expansive style. Johnston’s men were the first team in the United Kingdom this season to win their league. If there was ever a leveller for all managers to be compared by up and down the country, surely this is it. Even with Celtic having no Rangers to contend with, Queen of the South had their title in the bag long before the Parkhead club, or any other title winners across the country. The Scottish 2nd Division trophy was joined by another piece of silverware that everyone and their granny expected to reside in Ibrox by now, the Ramsdens Cup. Although not the most prestigious tournament in world football, the achievement of a 2nd Division club winning the Ramsdens Cup is certainly at least noteworthy. Knocking out tournament favourites Rangers early on was as much of an achievement as lifting the cup itself in that unforgettable final against Partick Thistle. Even the top sides in the country came across tangible difficulty when playing against Queen of the South this season. A single goal was all that separated the Doonhamers against Dundee United and Killie in the League Cup and Scottish Cup respectively. The 2nd Division outfit even managed to go one stage further against Hibs in the Scottish Cup, securing a 2-0, and another feather in Johnston’s cap. Away from cup competition, their league form has been outstanding, both in terms of results and performances. They’ve lost just twice in the league, chasing a points total just short of 100! Along the way, the style of play has attracted plaudits from the media as well as Johnston’s peers. His expansive style as a player has been replicated in his first management role, as his focus would appear to be entertaining the fans, and simply outscoring the opposition. On their way to the title this year, the fans have been treated to a glut of goals, currently sitting with a goal difference of +69, and having scored 3 or more goals in a game on 17 occasions. Some sections of supporters within the Scottish Football realm have turned their noses up at a 2nd Division manager and team being rewarded on the PFA front at all. I do wonder, if Rangers go on to win the 2nd Division and Ramsdens Cup next season in style, would people be so quick to discount the achievements of Ally McCoist and his players? Another criticism leveled at those who voted for Johnston is that Queen of the South do have something of a wider resource pool than all other clubs in the division. While this is a clear advantage in some ways, it brings with it a huge pressure to win by a healthy margin. The Doonhamers boss has thrived under this pressure, and delivered on all fronts. I find it strange that the resource inequality argument isn’t leveled at the likes of Neil Lennon’s Celtic side, Jupp Heynckes’ Bayern Munich side, Tito Villanova’s Barcelona side, or Carlo Ancelotti’s PSG side for example. Surely it’s such a common issue that you’d have to criticise everyone in question, or swallow your pride and admit it when a manager has done a good job? Perhaps the ‘fresh air’ factor of Allan Johnston’s performance this season is what set him apart from the others on the shortlist? The Queen of the South journey has been something of a whirlwind at a time when our game was beginning to seem a little stagnant. As much as Lennon, McCall and Butcher’s achievements have been laudable, there was nothing ground breaking about any of them (domestically speaking at least). Those who voted for Johnston for the PFA award clearly felt that the game in Scotland developed a much needed, exciting young manager. Shame on anyone who berates a man who’s trying to play the game the way it should be played. Long may he continue to inject this new life into our game, and with any luck we’ll see a few more developing managers of his ilk strengthening the quality and appeal of the game in Scotland.